The Big Wobble: Volcano Uptick: Large tremors set Barbarbunga volcano, Iceland on edge! 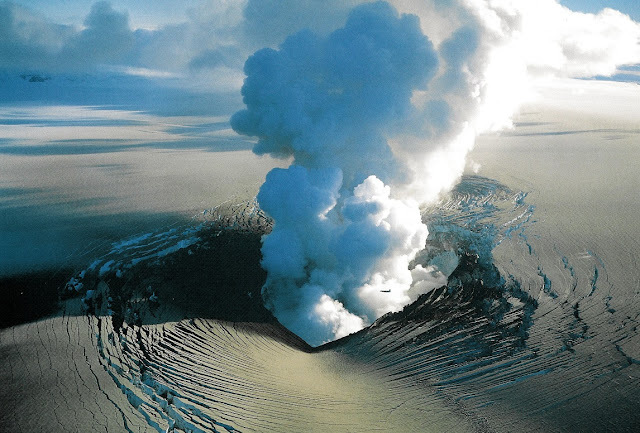 Volcano Uptick: Large tremors set Barbarbunga volcano, Iceland on edge! An earthquake of magnitude 4.0 hit the northern end of Barbarbunga between 4 and 5 am yesterday morning. The volcano, which lies under the massive Vatnajökull glacier, caused the 2014-2015 Holuhraun eruption in the northeastern highlands of Iceland. Einar Hjorleifsson, natural hazards specialist at the Icelandic Met Office, says the earthquake is certainly large and among the strongest to have occurred in the volcano since the Holuhraun eruption came to an end, ruv.is reports. Yesterday, a 3.0 magnitude earthquake was measured in Barbarbunga around noon, and a total of six earthquakes stronger than 2.0 magnitude were picked up throughout the day. Einar explains that this seismicity is a continuation of activity in Barbarbunga following the Holuhraun eruption but that there are no signs of increased volcanic activity. Icelandic Met Office specialists monitor seismicity in the area around the clock.